It seems that AMD hasn’t been working a lot on producing graphics card based on a new architecture for the year. While there have been news on the next generation HD8XXX graphics card coming in the second half of this year, the latest new suggested that AMD plans to release their HD 9XXX generation graphics card by the end of this year and totally skip their HD8XXX series for desktops. The new AMD HD9970 will be codenamed Hawaii. The HD9XXX series will be manufactured by a 20nm process by TSMC. The Radeon HD9970 will also be the next flagship graphic card, replacing HD7970 Tahiti. Radeon HD 9970 is said to have 4096 Stream Processors and will be equipped with GDDR5 memory with a 512 bit memory bus. 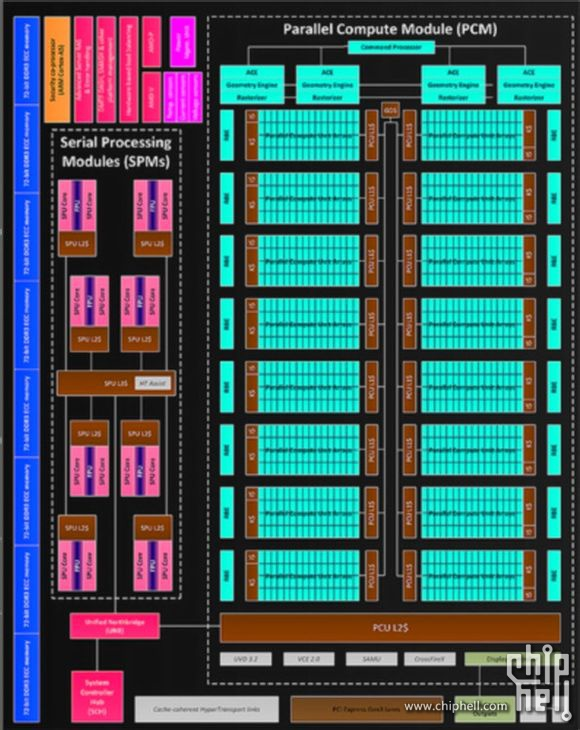 Additionally, it will have 4 geometry engines, 256 TMUs, 16 serial processing units and 64ROPs.